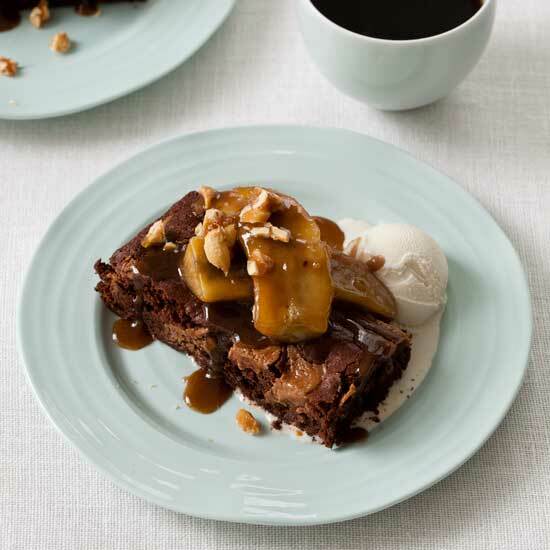 These spectacular desserts include molten chocolate cake, double-chocolate peanut butter pie and gooey walnut brownies. 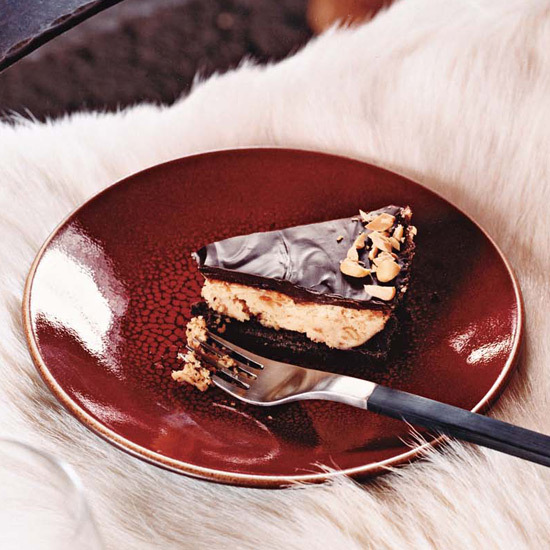 This incredibly chocolaty and creamy quick-bake pie is Vitaly Paley’s grown-up version of a Reese’s Peanut Butter Cup. 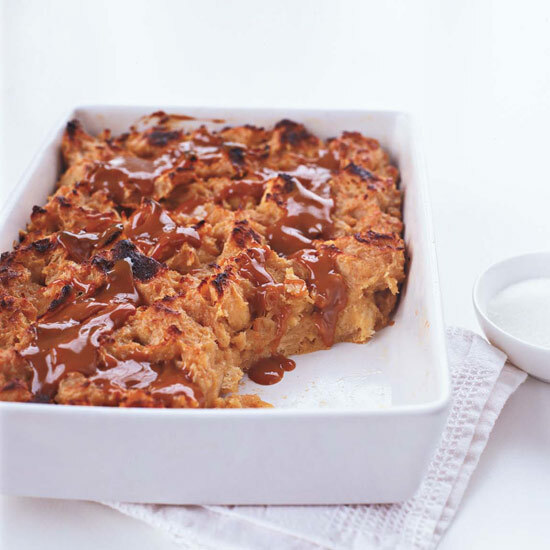 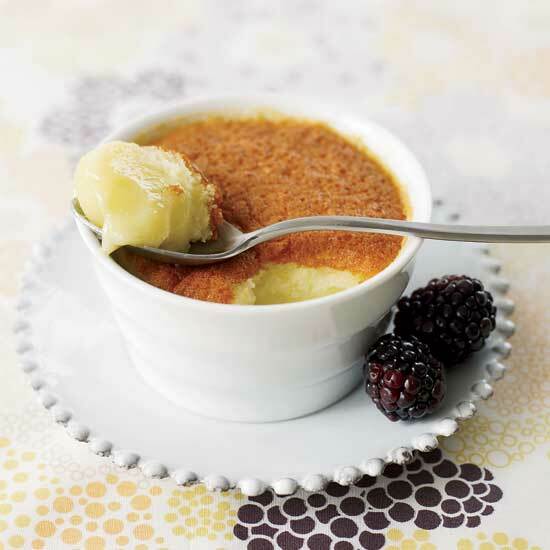 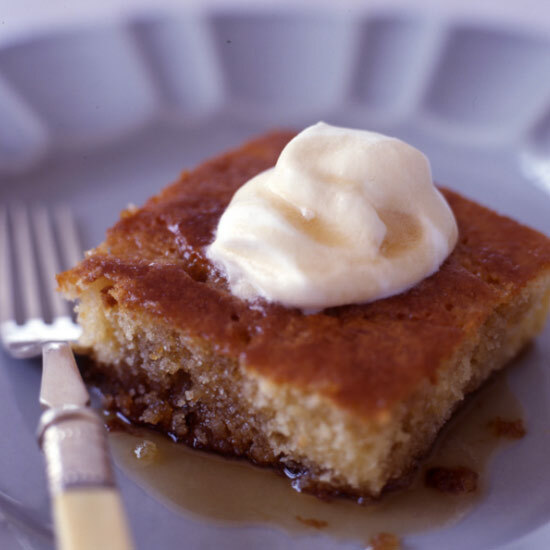 This sweet and gooey pudding cake with crisp candied edges, a Maine favorite borrowed from neighboring Quebec, is known as pouding aux chômeurs—the unemployed guy’s pudding. 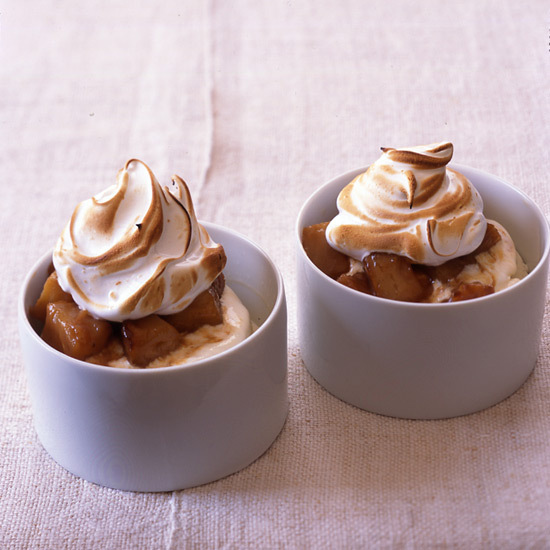 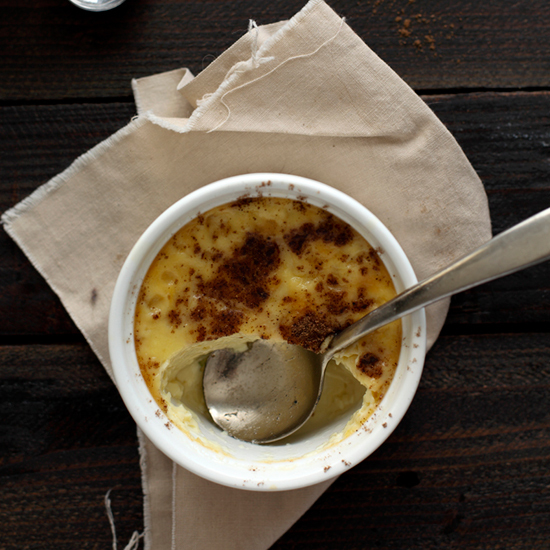 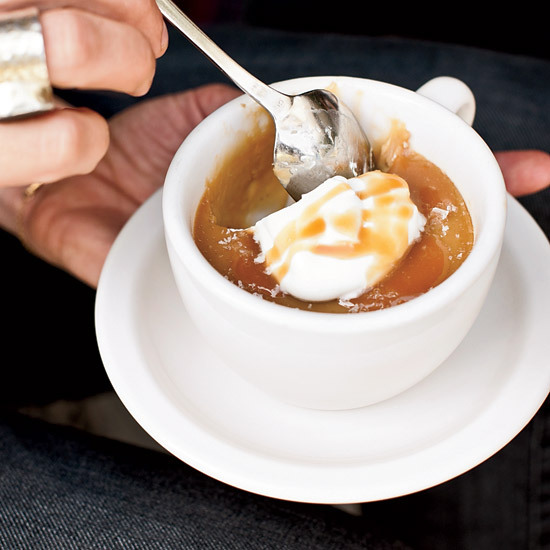 Sam Hayward doesn’t know how this dessert got its name, but the lavish use of maple syrup (a Maine staple) probably helped make it popular. 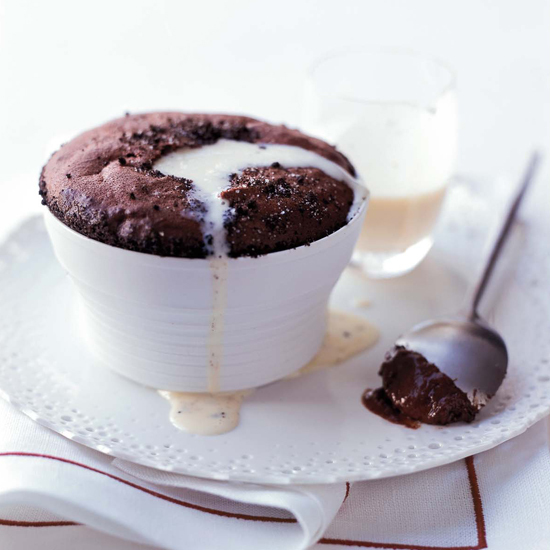 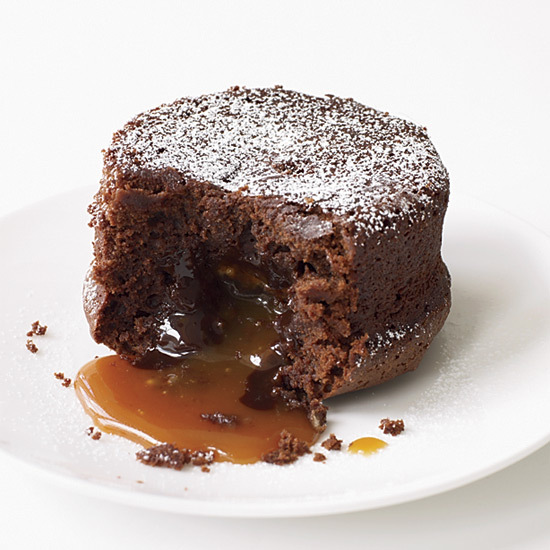 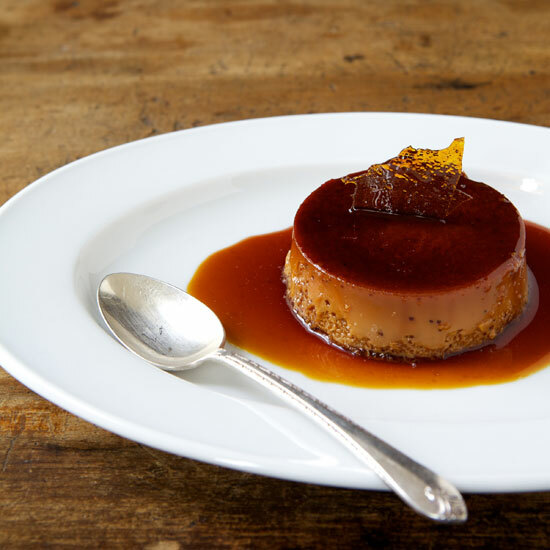 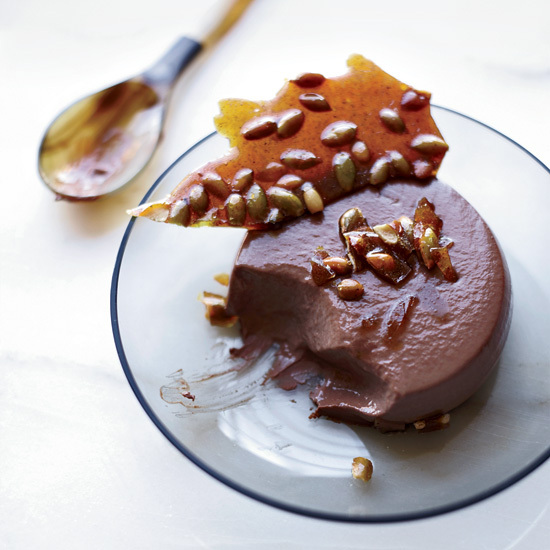 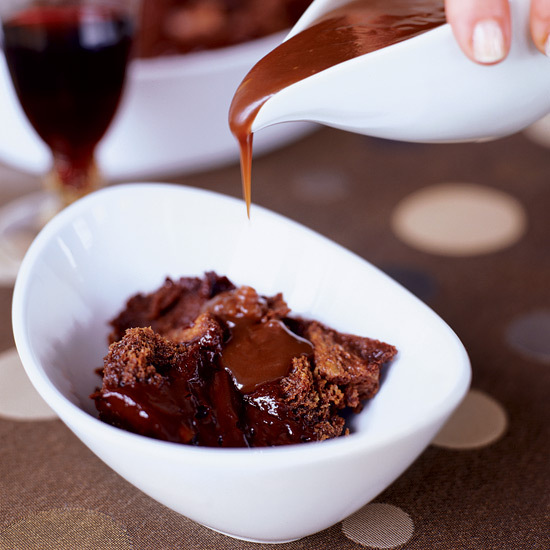 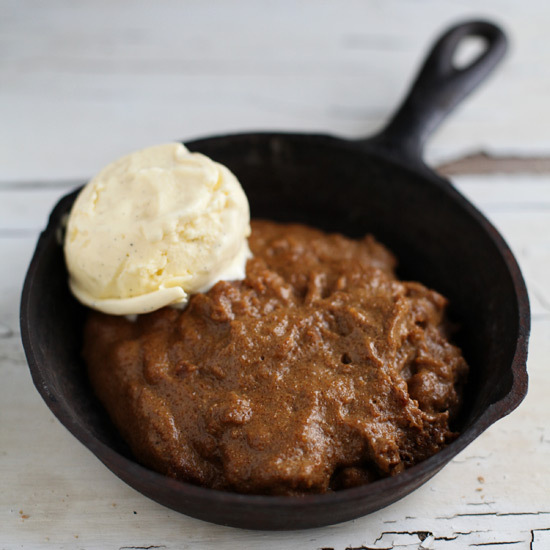 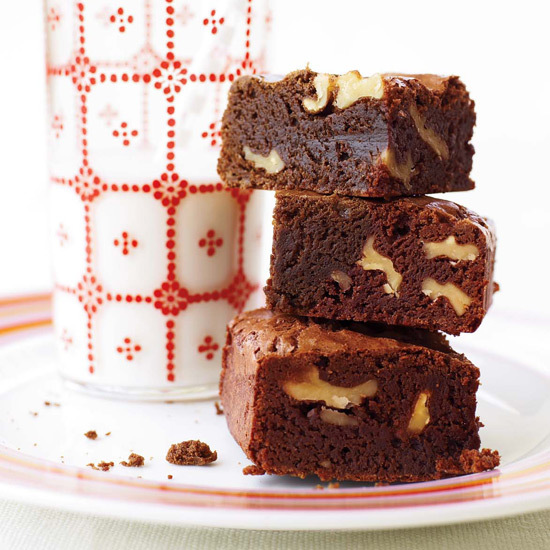 More decadent than molten chocolate cake: one filled with warm caramel, reveals Grace Parisi. 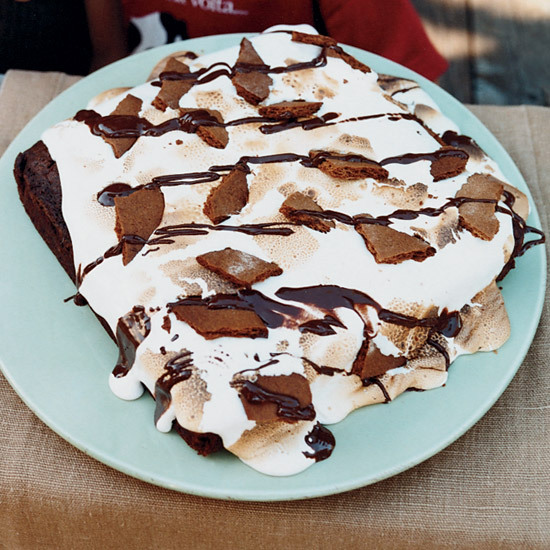 Chocolatier Michael Recchiuti decorates the marshmallow in this gooey cake with shards of his own graham crackers, but store-bought ones work just fine.